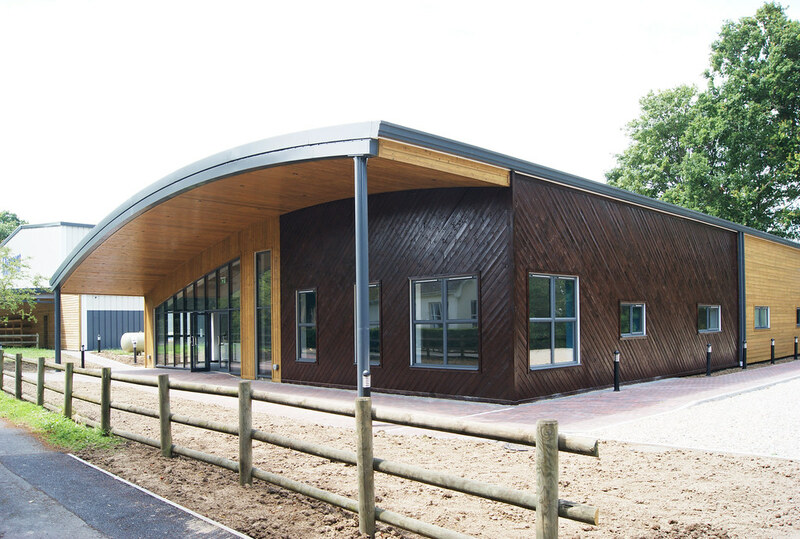 The second consecutive project for Claremont Senior School, in Bodiam, Kent. 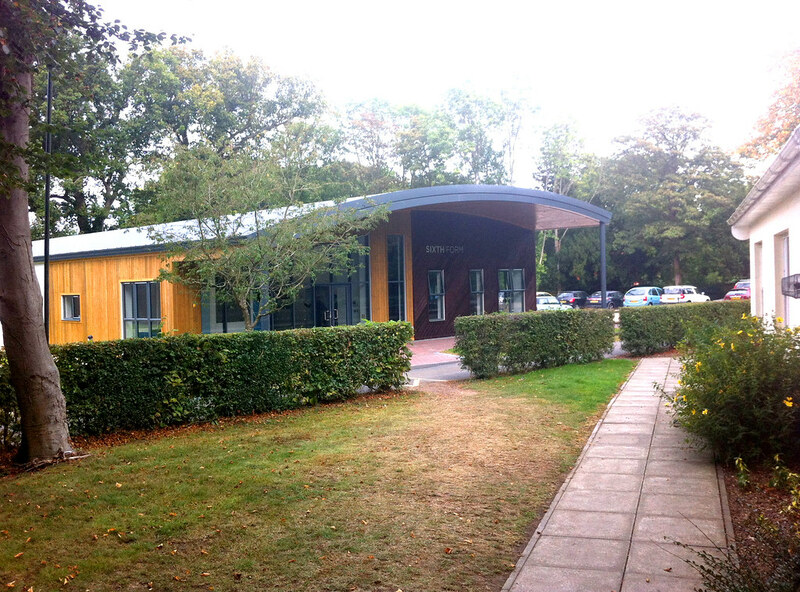 Claremont Sixth Form Centre sits next to the Sports Hall, completed in 2013. 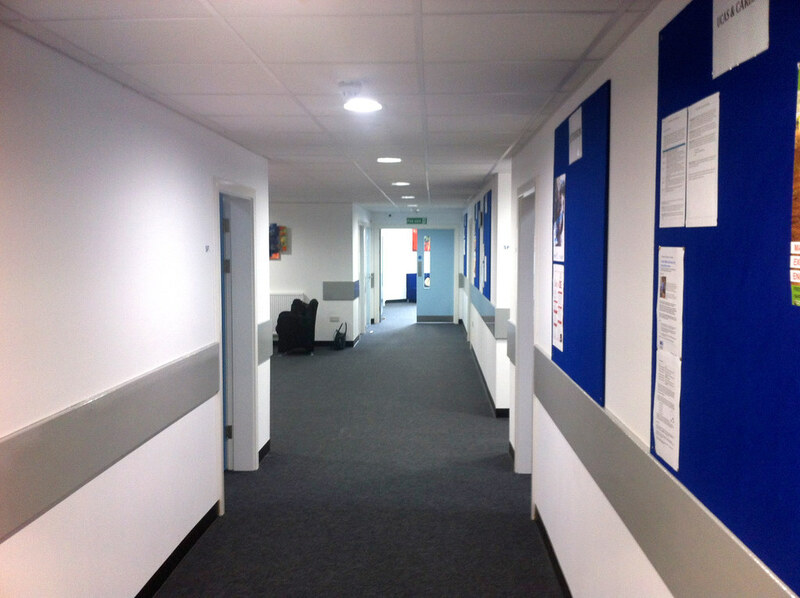 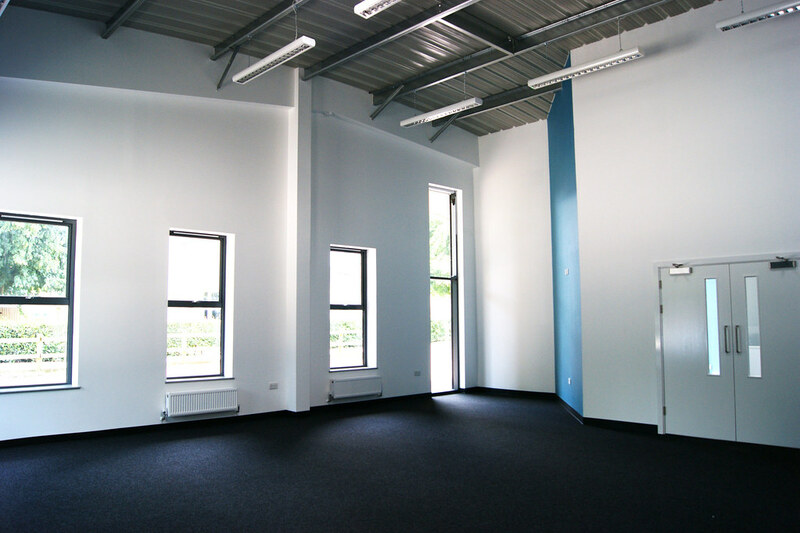 The building caters for the new sixth form student intake, which will be up to 100 pupils in its second year. 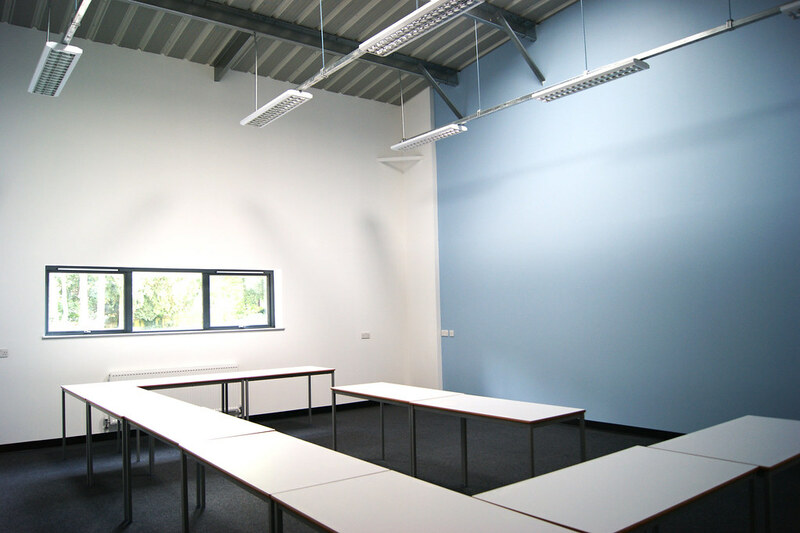 There are a range of classroom sizes, with two main classrooms which are full height to the roof with natural daylight from rooflights. 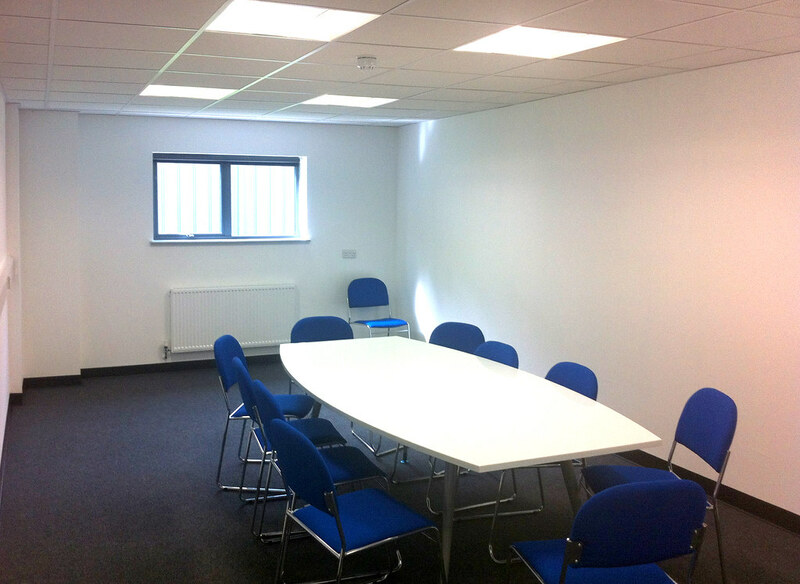 There are also offices, toilets and kitchen. 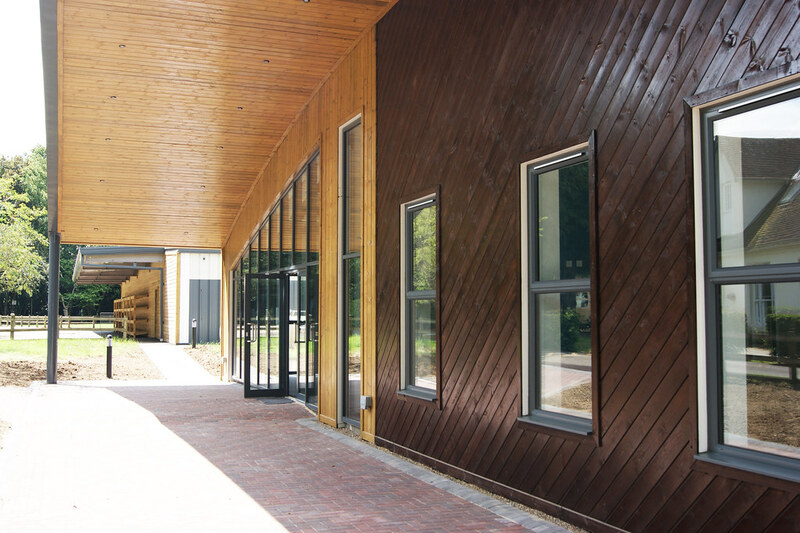 The timber helps to settle the building into its rural surroundings, whilst contrasting colours of stain add emphasis to the front facade and the canopy. 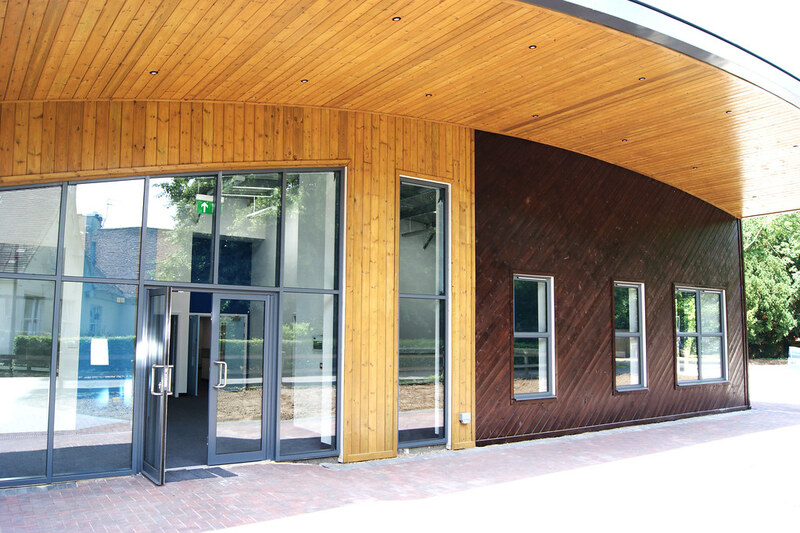 The perfect curve is no happy accident; the curved structure was cut with a laser to ensure the crispest possible detail of the canopy. 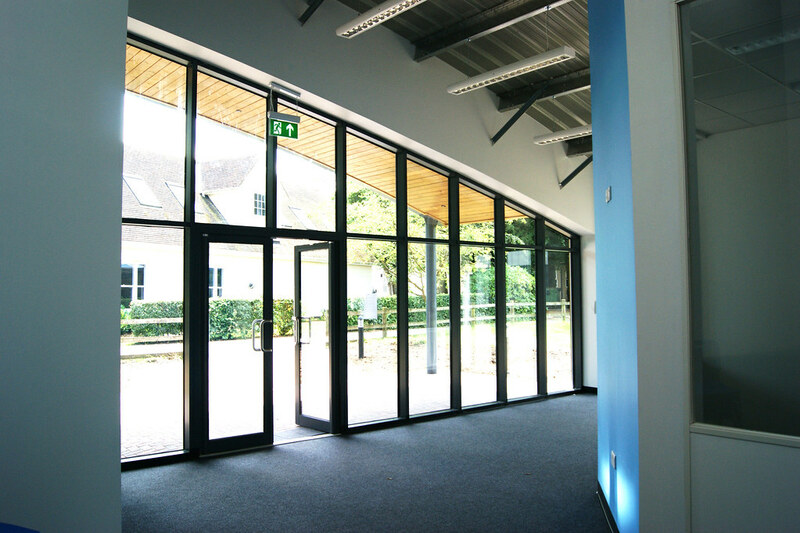 Roof lights let in up to 40% more daylight than windows, which floods the full height spaces with even, natural light. 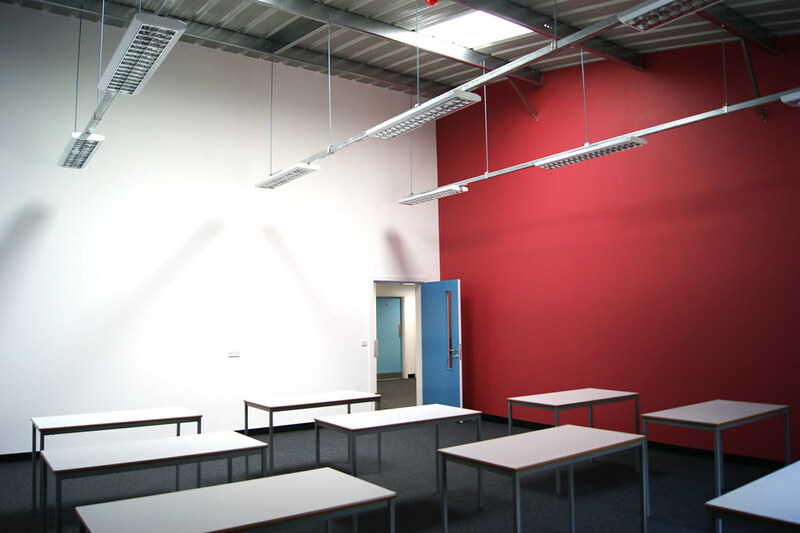 Colour is used selectively throughout the building to create individual spaces in a bold and modern way. 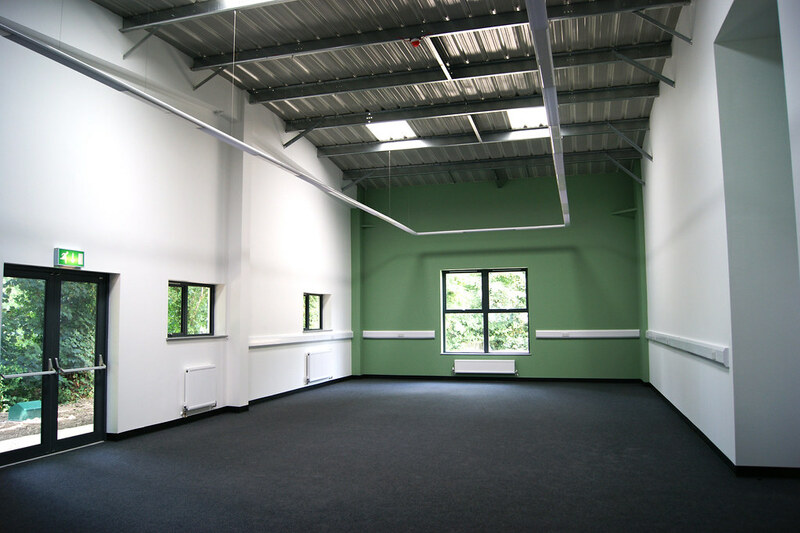 The common room is a unique room in the building, located at the very front, it is purely a social space – no work allowed! 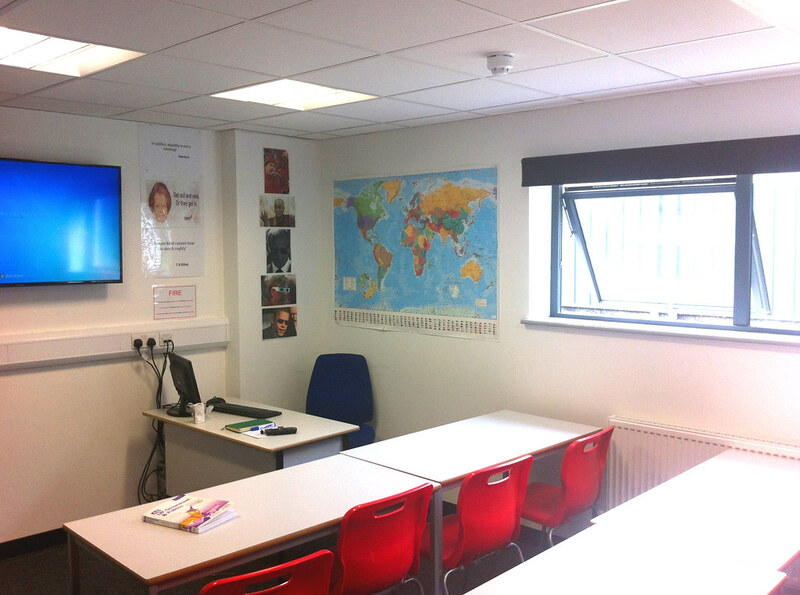 The large windows have deep window sills, perfect for sitting and chatting, and the informal feel of the space is more like a den than a school room. 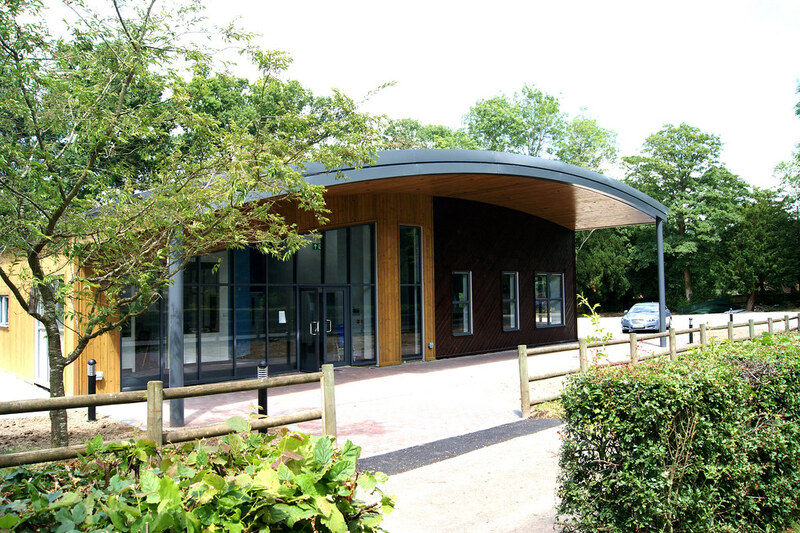 The study room occupies the whole of the last bay of the building, and is the only place where the whole of the curved roof can be experienced. 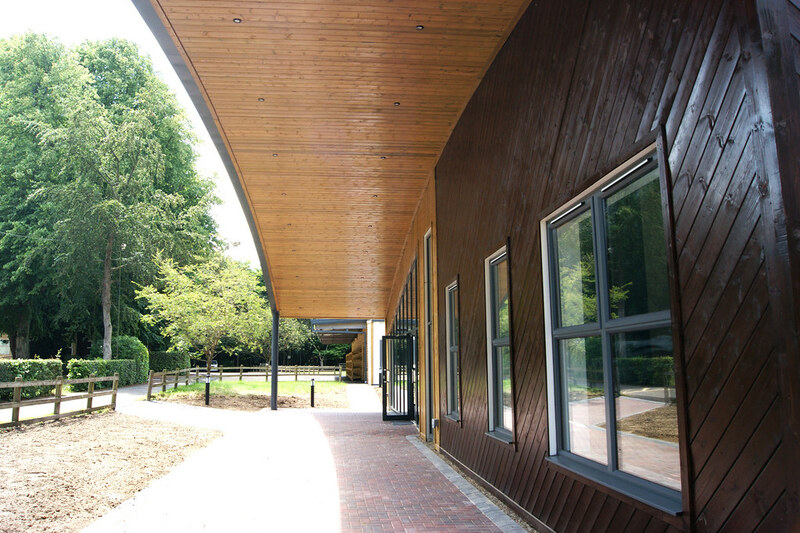 The underside of the roof is an acoustic finish throughout the building, reducing noise reverberations to keep the large spaces quiet and make it easier to hear what is being said in a lesson.